The crowd-funded Yooka-Laylee released last week, and it hopes to bring back the same feelings of fun and excitement that players had with old school 3D platformers of the collect-a-thon style. While SuperPhillip Central will be covering Yooka-Laylee at a later date to determine if that hope springs something true, for now we're going to take a look at the top ten best 3D platformers ever made. The only rule here outside of the obvious "they have to be 3D platformers" is that only one entry per series is allowed. Once you've checked out my picks, debate which ones you think deserved the top spot or if one of your favorites missed the list. 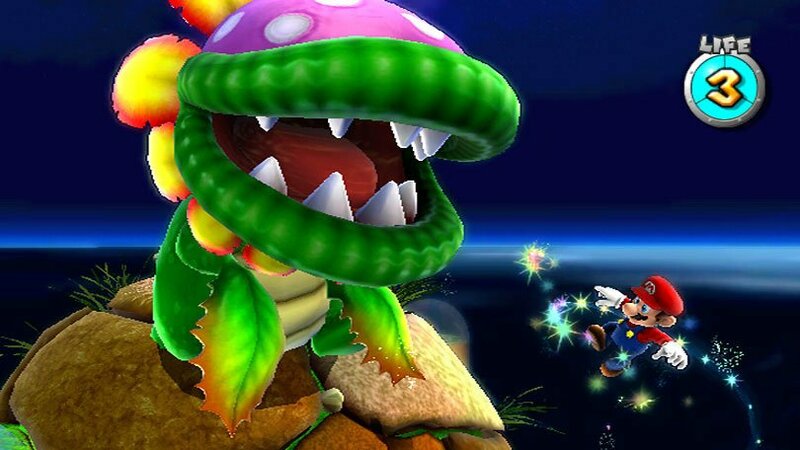 Want more 3D platformer goodness? 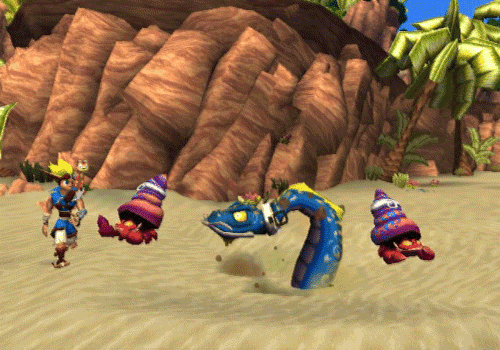 Check out the Top Ten Underrated 3D Platformers! In Ape Escape 3, your goal was simple: capture all of the loose monkeys in each level. Starting levels were quite small in scope, but by the end of the game you were searching through massive expanses on your search for those dastardly unruly simians! The game used the right analog stick as your means to control the net. Careful precision and timing enabled you to nab a monkey, instantly capturing it. Some apes were in plain sight while others required a good deal of exploring, some platforming to do, and searching. 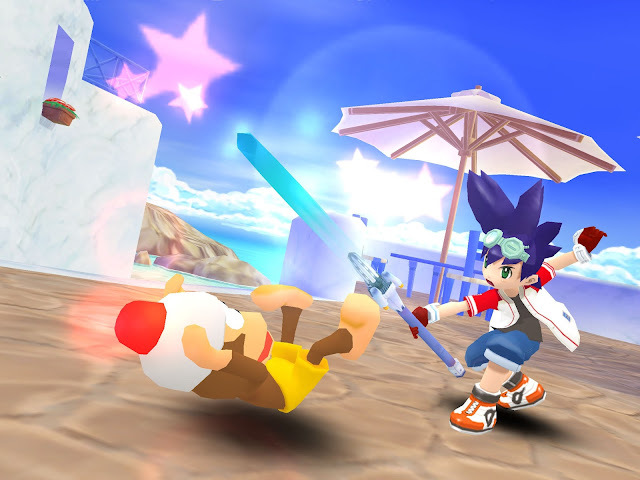 Ape Escape 3 didn't have as many gadgets to assist on the journey, but instead there were abilities to morph instantly into different forms. Each form offered advantages and disadvantages in how to capture the various monkeys seen in the levels. 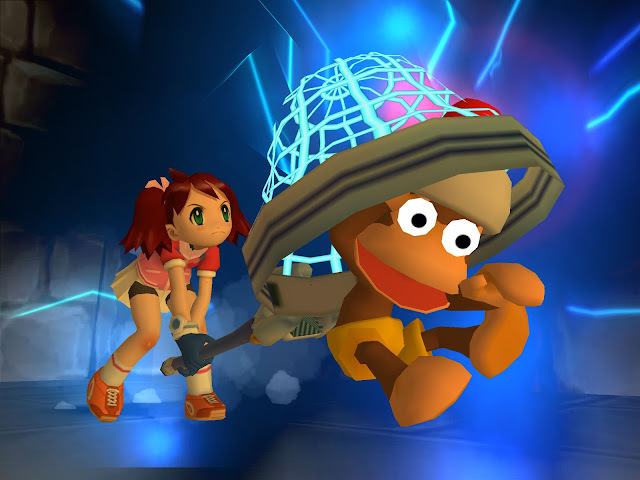 It was an atypical 3D platformer for sure, but Ape Escape brought me lots of joy from not only finding and capturing apes, but also with its Metal Gear Solid tie-in mini-game. It's amazing how much Insomniac Games has moved up in the gaming ranks since Spyro the Dragon. From creating a wonderful duo with Ratchet and Clank to now creating the first great-looking Spider-Man game in ages, Insomniac is a giant. 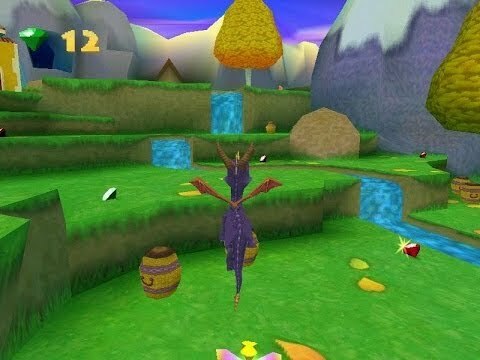 That's not to say that Spyro the Dragon is beneath the developer now, as the original PS1 games are tremendous to play. 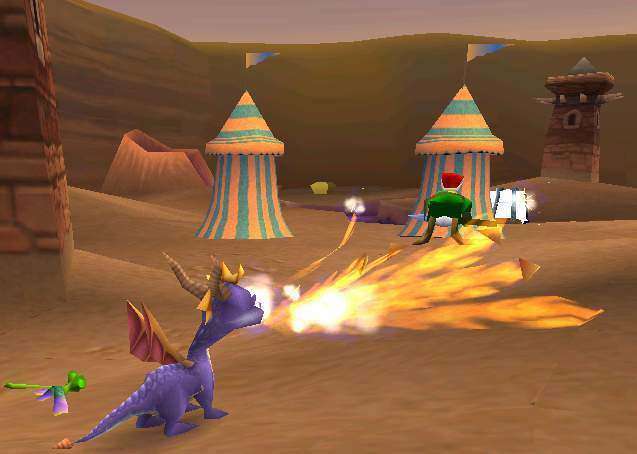 I have nostalgia and lots of fun to this day playing the very first Spyro the Dragon, whether it's entering the worlds to find gems from treasure chests, saving Spyro's crystallized dragon elders, or taking time to take to the skies in the numerous flight segments. Spyro had but two means to attack, but they were good enough to get the job done-- a charge attack that rams his horns into enemies and the ability to char foes with his fire breath. I prefer Spyro the Dragon compared to the still-amazing sequels due to how much simpler the adventure is in scope. 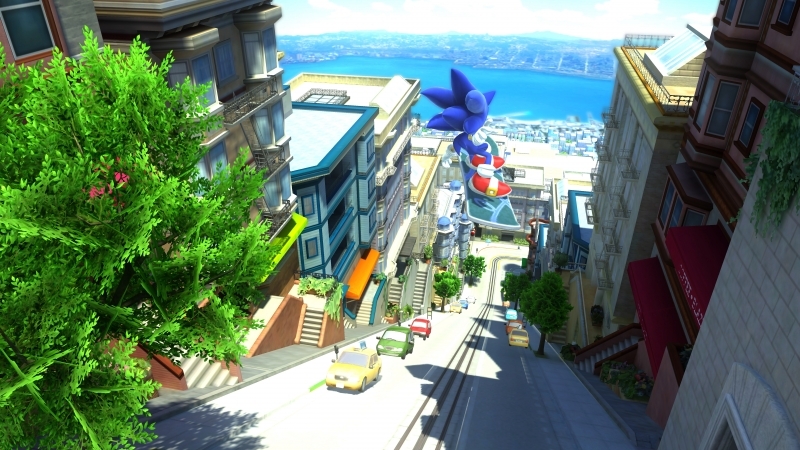 After getting half of the game right with Sonic Unleashed and an entire game done right with the Wii's Sonic Colors, it seemed that Sonic Team had a good handle on what fans wanted out of 3D Sonic the Hedgehog games. 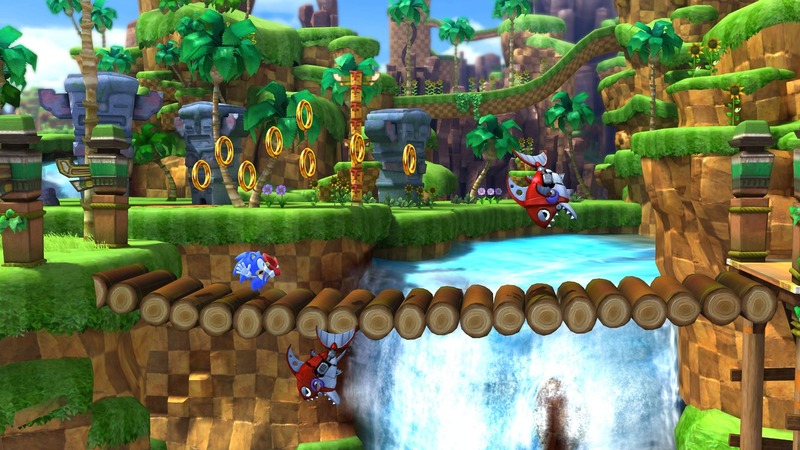 For the 20th anniversary, the developer wanted to set out to make the ultimate Sonic the Hedgehog game, and that game was none other than Sonic Generations. The HD versions sported magnificent levels based on every major Sonic the Hedgehog, such as Sonic 1's Green Hill Zone, Sonic 2's Chemical Plant Zone, Sonic Adventure's Radical Highway, and even making a level from the worst 3D Sonic (Sonic 2006), Crisis City, actually playable AND enjoyable. Combining two play styles, Classic Sonic's 2.5D levels with Modern Sonic's mostly 3D levels, Sonic Generations turned out to be a stellar entry in the series even with a poor final boss battle and some annoying in-game missions. 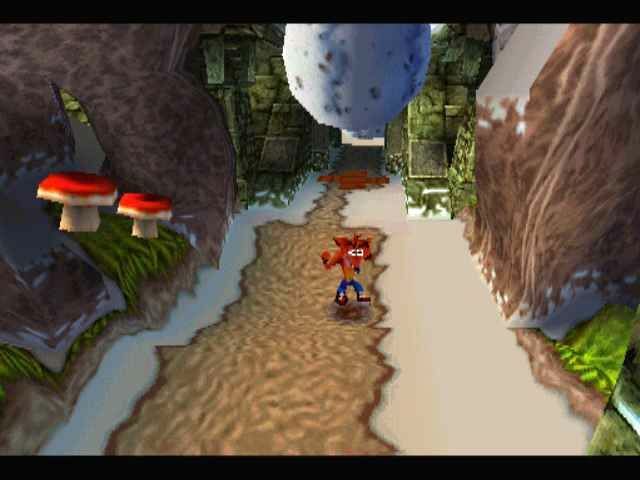 Crash returned from his original 1996 platforming adventure with Crash Bandicoot 2: Cortex Strikes Back. While the gameplay of the original didn't see much in the way of tweaking (after all, if it ain't broke, don't fix it), something that did receive tinkering with, the awful save system from the original Crash Bandicoot, was. This offered a much more enjoyable experience without the headaches and annoyance the original save system caused. 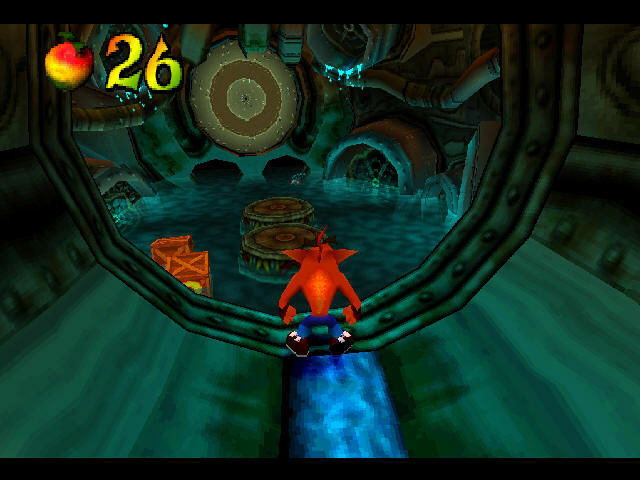 The corridor-like levels returned with Crash Bandicoot 2, giving players challenging obstacle course-styled levels that demanded precision and carefully timed jumping. Crash Bandicoot 2: Cortex Strikes Back remains my favorite of the Crash Bandicoot trilogy for the original PlayStation. Before Sucker Punch showed us an open world setting with explosive powers from the main character in the Infamous series, they made a trilogy of 3D platformers incorporating careful stealth and action gameplay with the Sly Cooper series. 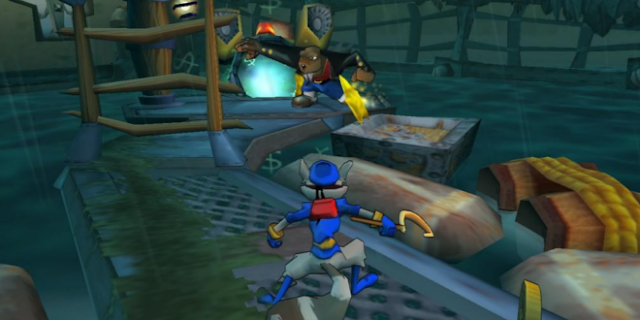 The team of Sly Cooper the Raccoon, Bentley the Turtle, and Murray the Hippo joined forces to commit several capers throughout the series, but the game that stands out for me is the original, Sly Cooper and the Thievius Raccoonus. 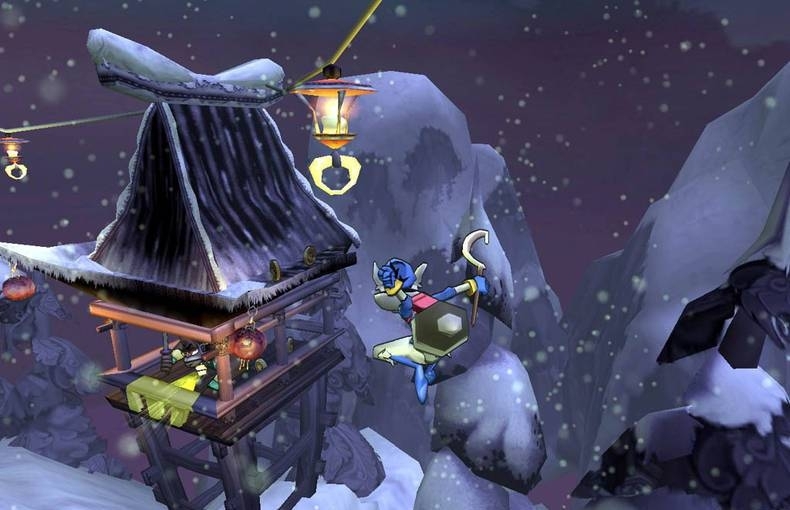 Featuring less open world shenanigans and more straightforward level design, Sly Cooper's first platforming/stealth offering delivered amazing level design, a cast of fun characters, and a great dynamic between the Sly Cooper squad. From avoiding deadly laser grids to hiding from colossal enemies, Sly Cooper's premiere outing was a fantastic adventure. 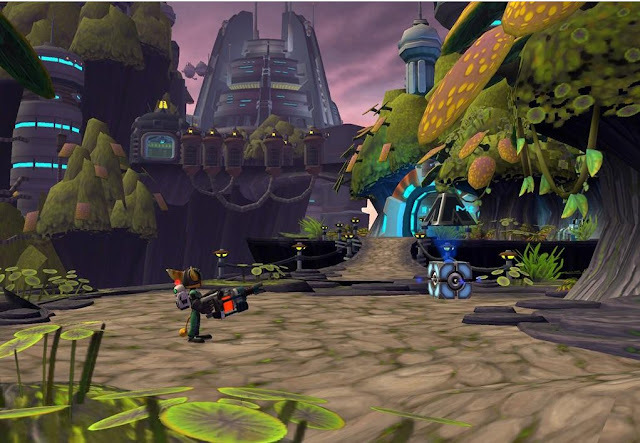 After parting ways with Crash Bandicoot, Naughty Dog designed a new duo of platforming icons in the form of the silent Jak and his comic relief, Daxter. 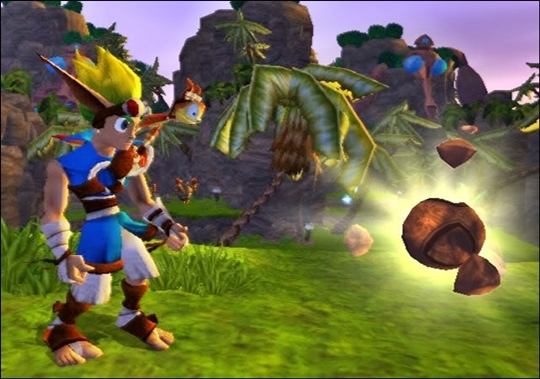 Built as a game modeled after 3D platformers like Super Mario 64 and Banjo-Kazooie where the goal was to collect special objects from doing specific platforming tasks and other challenges, Jak and Daxter: The Precursor Legacy delivered a copious amount of difficult but always fair platforming, expansive interconnected worlds (with seldom a loading screen), and intense boss battles. It's just a shame that Naughty Dog lost the plot for the series by turning it in a cringe-inducing, tryhard, edgy take on the 3D platformer inspired by Grand Theft Auto III with the following sequels. A game so nice that Ubisoft ported it not just twice, but a massive amount of times to a great deal of platforms. 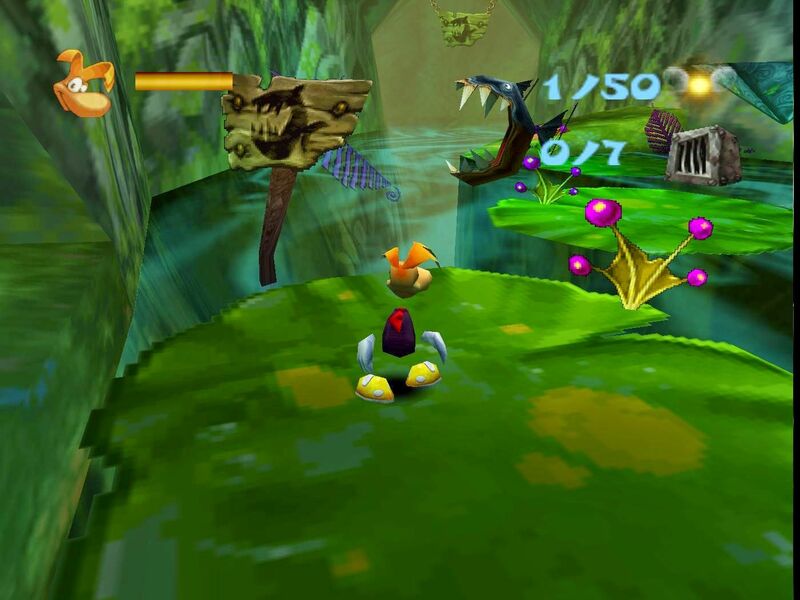 The first releases came to the Nintendo 64 and PC. Then it launched on a varied amount of systems for over a decade. We're talking the Dreamcast, PlayStation 2, Nintendo DS, Nintendo 3DS, iOS devices, and more. There was a good reason for this, though, as Rayman 2 is one of the better 3D platformers around, giving players linear 3D obstacle courses to run and jump through as they search for Lums and Teensies-- the latter of which are captured in cages. The worlds' colors were vibrant and popped out, being immensely pleasing to the eye, and the soundtrack was stellar too. Whether rushing down a series of slides in one level or being bombarded with bombs from an attacking airship as you run away, Rayman 2 delivered delightful platforming challenges and tight gameplay. 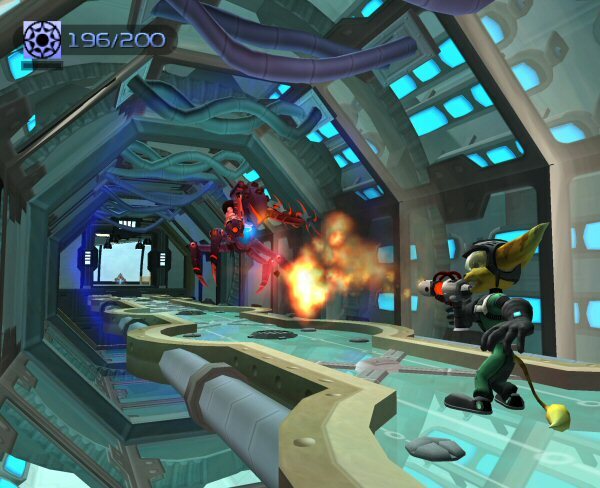 I hold a special spot in my gaming heart for Ratchet & Clank: Going Commando. With so many terrific games in the series to choose from (Up Your Arsenal, A Crack in Time, the 2016 reboot) I finally decided on my first foray with the series, Going Commando. It greatly improved on the original Ratchet & Clank by giving players lots of updates such as the ability to strafe enemy fire, level up weapons and guns through repeated use, and had much more interesting worlds to explore with much more intriguing gadgets. Going Commando combined traditional platforming with a wide repertoire of weaponry to give a pleasant 3D platforming/third-person shooter hybrid. The charm and wit of the series continued from the original Ratchet & Clank, and the adventure in Going Commando remains one of my favorites not just in the Ratchet & Clank series itself but in any 3D platformer to date. My personal favorite collect-a-thon-style 3D platformer, I actually prefer Banjo-Kazooie to Super Mario 64. 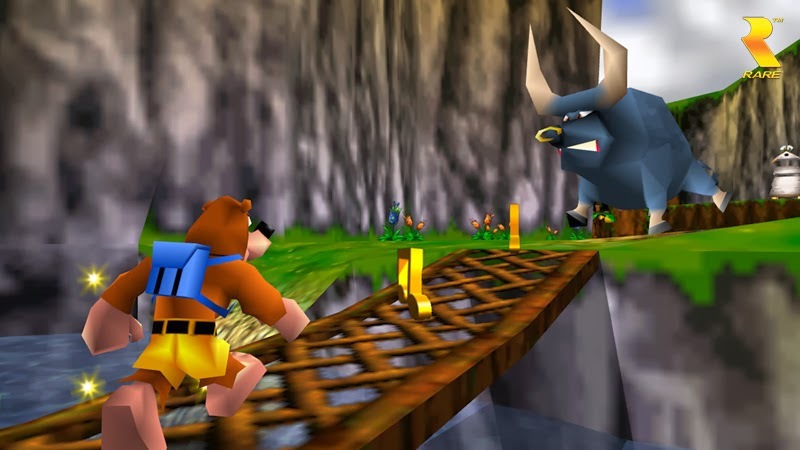 While there is no question that Rare's first 3D platformer would not exist without Mario's first foray into 3D, Rare managed to take the lessons learned from Super Mario 64 and create a wonderful game. Perhaps I like Banjo-Kazooie more than Mario's premier 3D outing because it was not just platforming-centric but it also featured a ton of exploration through its expansive worlds. Collecting the Jiggies to open up new worlds, gathering Musical Notes to open doors in Gruntilda's Lair-- the hub world of the game, finding Jinjos that had five each in every world, and transforming into a wide array of objects and animals thanks to local voodoo magician Mumbo Jumbo were all enjoyable things to do in Banjo-Kazooie. 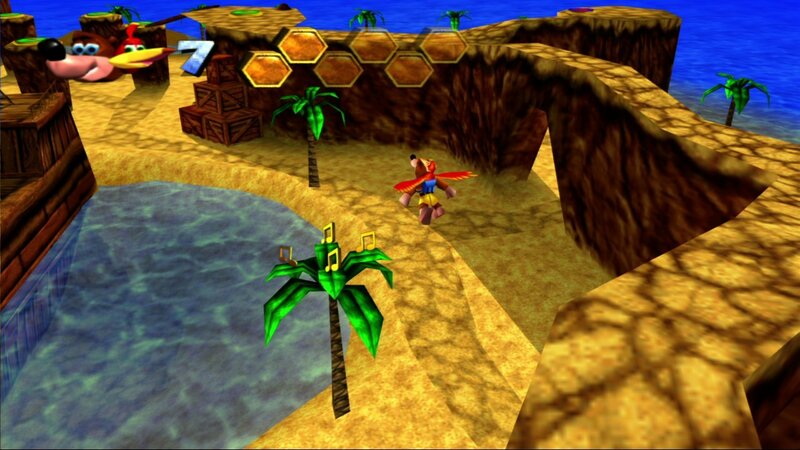 Banjo-Tooie would release several years later, but it proved that bigger doesn't necessarily mean better. Instead, it can show that a game too big can overwhelm the player. Despite Super Mario 64 being a much greater revolution to gaming than Super Mario Galaxy, I hold the Wii's first 3D Mario with higher esteem due to how much it absolutely blew me away with both its astonishing, masterful level design and the gravity mechanic the game displayed. Each planetoid no matter how big or how small incorporated some kind of gravity to it. 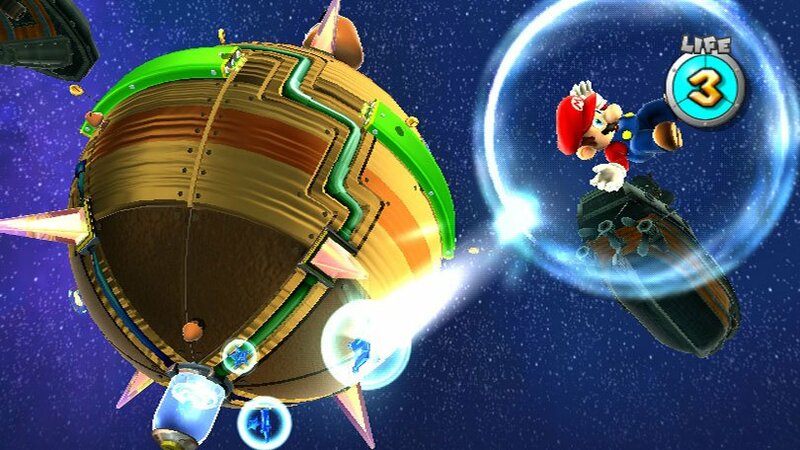 This meant Mario could leap from planetoid to planetoid or even make a huge long jump that saw him fly around the planetoid in midair for several seconds without ever touching its surface. 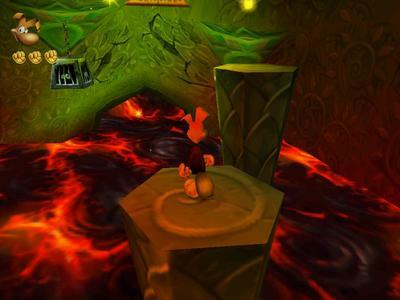 The various platforming challenges that the gravity mechanic gave players were tremendous in design and execution, constantly showcasing new obstacles and tests for players' skills. The inventiveness of the level design was something that never failed surprise, while the controls were as top notch and as great-feeling as ever. Super Mario Galaxy may not have revolutionized the 3D platformer or gaming as much as Super Mario 64, but I find the game to a much better, more imaginative outing for Mario and the genre than ever before or after.